"Would I like to bring my wife out to dinner?? ".......................more on this a little later! Over the next number of weeks I will share some basic fundamentals of managing and preparing your finances, and establishing the foundations to be in good shape! In the absence of a fruitful and abundant Cash-Tree in our back gardens (Blog#2) we really do, if we want to be well prepared, need to focus on the basic principles and put in place an appropriate structure to support our financial lives. A stash of cash I don't intend using? Why on earth would I do that!?! Consider the following, irrespective of your situation, if you don't have this stash set aside: What happens if you hit a financial speed-bump, you are unable to work for 6 months, 12 months; a large unexpected expense arises which you weren't prepared for? "Sure that's what my Credit Union Lender is for". I’ll just borrow it one might say, well this will help you avoid having to do just that. How to achieve it? Start small, set aside 7-10% of your new income, and any spares at the end of each month in order to build it up. Save it into an account (be it Credit Union, Demand Deposit, Notice Account which is completely separate to your main working account, otherwise it is almost mission impossible. Budgets are boring, fact! Are they worthwhile doing for yourself? Absolutely! Just for you loyal reader I have included a free Budgeting Tool below! Honestly, if this is the only thing you actually do following reading the entire Blog series it will have been a valuable exercise. I dare you to try it, and take a detailed look at your own income and outgoings. Ask yourself the following, what areas can I increase and what areas can I decrease?? More on this in a future Blog. Who loves paying back loans? Thought so! Therefore why don’t we focus some of our income and efforts into clearing them even slightly earlier than the terms of our loan/mortgage suggests. It will save you money, potentially a lot. 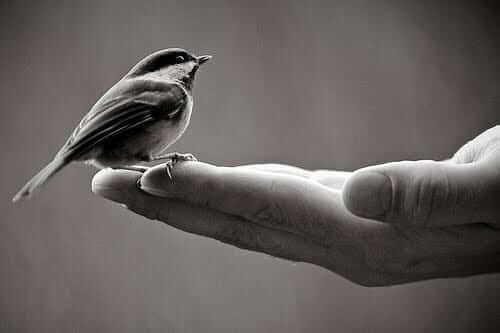 A bird in the hand.......! A key principal which essentially commits savers to doing the saving! Imagine I have €200 spare in the final week prior to pay-day I have the choice of spending that on treating my good wife to a nice meal and evening out, or of saving it. Given that I enjoy evenings out with my wife which option will I most likely pick!? Spare yourself the dilemma of deciding, buy her/him a bag of chips and siphon that €200 (or whatever equates to 10%+ of your net income) out of your pocket and into your savings, emergency fund, or retirement plans the day you are paid! There are so many benefits we can avail of as employees, citizens, self employed, Directors. As the weeks go by we will look into the detail of many of these and ensure that we avail of them. For instance when was the last time you double checked that you were getting all the tax reliefs you are eligible to, irrespective of whether you are PAYE or Registered for Income Tax? Would you rather have it in your pocket than leave it with your Tax Office? As promised, a 3 minute read, pardon the pun but the time flew I'm sure! Now its time for your Homework.....click on the link below to access the Budget Tool mentioned above, it really can make a big difference to your bottom-line, and help you avoid having chips instead of fine-dining! As always, please share, like and spread the word, our subscriber numbers are growing by the day, so thanks to you all for sharing the love! Loving the blogs Paddy. Huge help to people like me who are worse than useless with money.